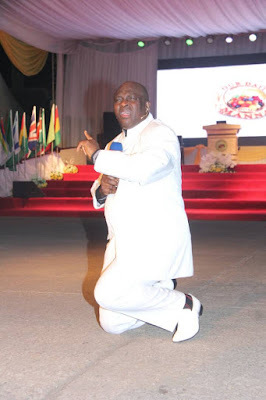 IT'S BISHOP CHRIS KWAKPOVWE'S BIRTHDAY TODAY! A SPIRITUAL ICON TURNS 57! 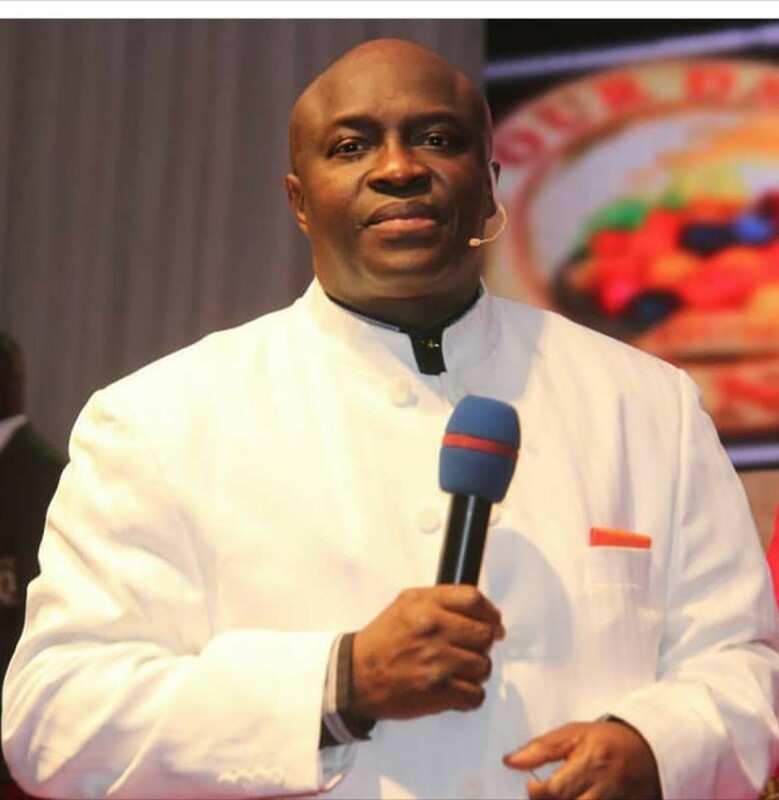 Many happy returns of the day to the Able Bishop and Publisher of Our Daily Manna. Many hearty cheers to a great and most wonderful man of God, a Wisdom Filled Man of God, and an Extra Ordinary Motivator, an Epitome of Knowledge, a Teacher, a Mentor, an Inspirational Writer, Home maker and Builder and above all, Our Bishop. Wishing you God's most abundant and sufficient Grace, Higher Annointing, Blessings in Health, Peace, Strenght, Love and Wealth as you soar to even more Greater height TODAY and Always. 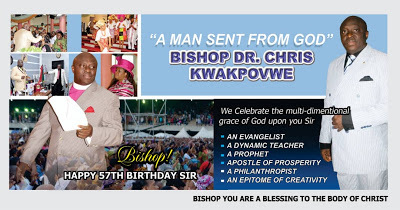 Happy Birthday, Our dear Bishop Dr Chris Kwakpovwe.